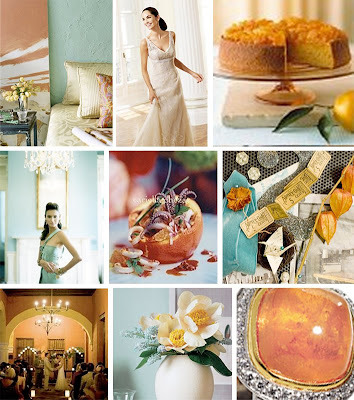 This color palette was inspired by the picture in the top left corner, as seen on Elements of Style. I love this combo, not only for a wedding but for a room! So warm and relaxing.